Finding decision-makers at state commercial banks and federal financial institutions requires an accurate email marketing list. Bookyourdata.com has the sales leads you need to contact foreign banks, state credit unions, and other institutions involved in international trades in this federal banks mailing list. Selling to foreign banks or to the Federal Reserve banks around the country requires a precise business contact list. 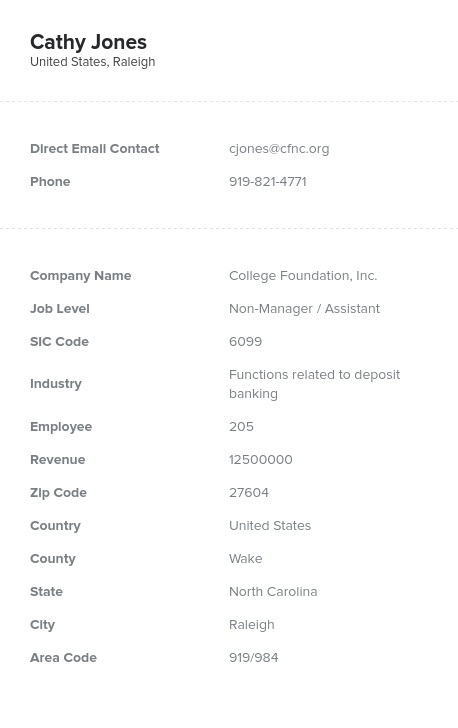 This pre-built national commercial banks email list is a crucial tool for a successful marketing campaign that gives you all of the contacts you need to earn interest in your products or services at depository institutions around the world, including their real names, direct phone numbers and email addresses, mailing addresses, and more. The specific, accurate contact information for influential people at these important financial institutions can be hard to track down, but we've done all of the work for you and compiled everything here in this federal financial institutions email database. Every marketer knows the pain of reaching out to potential sales leads and repeatedly running into dead ends due to outdated or incorrect contact information. At Bookyourdata.com, we know how frustrating that can be, too, and so we work hard to make sure that we sell only accurate, usable business lists. In this national banks mailing list, you'll find data that has been verified by real human authenticators as well as computers, and we go through this process weekly with every email marketing list we sell to make sure that every scrap of data is current. Download this valuable list today to get your marketing efforts off to a solid start.